You are invited to learn more about Landscape Lighting, and earn (.2) ASID CEU credits for this two hour course! This seminar will teach you how to light outdoor living spaces and landscapes. Topics covered include the purpose of landscape lighting, why to use a 12-volt vs. a 120-volt system, pros & cons of LED sources, and helpful hints for installation. 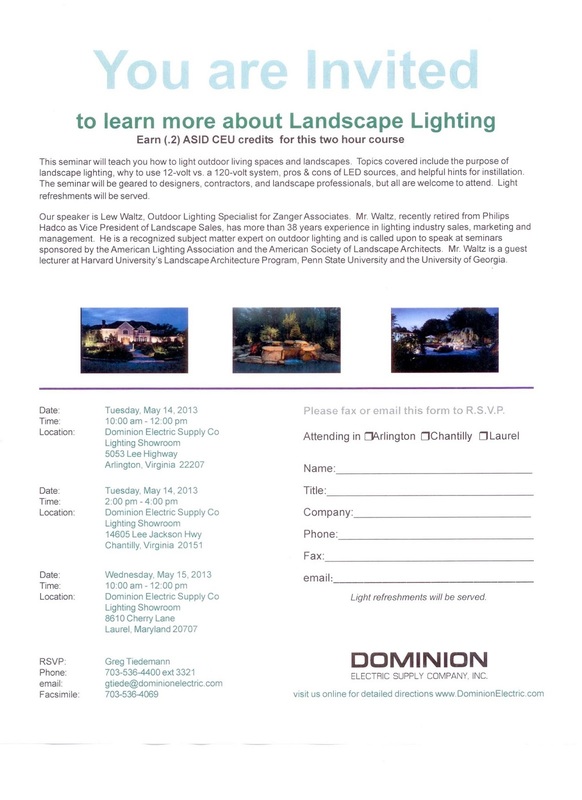 The seminar will be geared to designers, contractors, and landscape professionals, but all are welcome to attend. Light refreshments will be served. 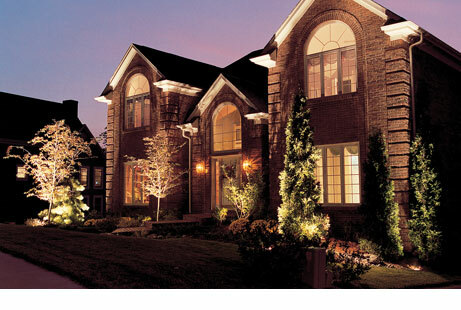 Our speaker is Lew Waltz, Outdoor Lighting Specialist for Zanger Associates. Mr. Waltz, recently retired from Philips Hadco as Vice President of Landscape Sales, has more than 38 years experience in lighting industry sales, marketing and management. 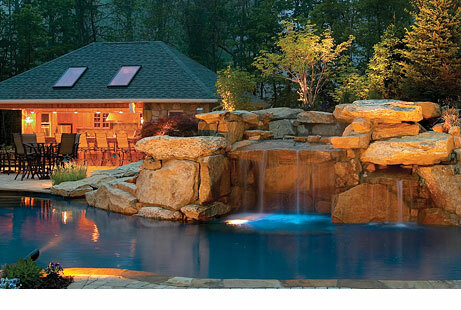 He is a recognized subject matter expert on outdoor lighting and is called upon to speak at seminars sponsored by the American Lighting Association and the American Society of Landscape Architects. Mr. Waltz is a guest lecturer at Harvard University's Landscape Architecture Program, Penn State University, and the University of Georgia. Location: Dominion Electric Supply Co.